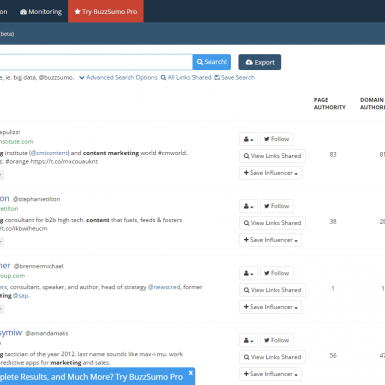 BuzzSumo is often named on the top-3 list of must have SEO tools by leading digital marketing and SEO experts. 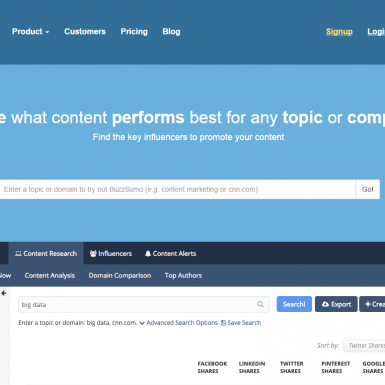 BuzzSumo allows you to take a keyword and see what type of content has performed the best way around social and link building on the subject. It makes finding the winning content and getting content ideas incredibly easy. Very helpful if you want to execute The Skyscraper Technique! This tool is all about topical reliance. 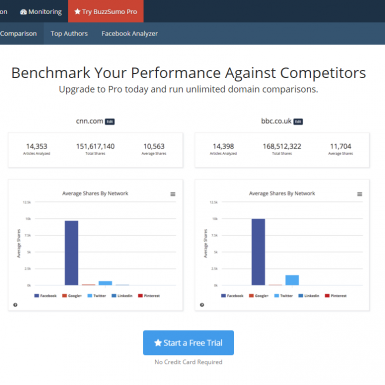 Use it to validate your keyword research and get an idea of how much the topics you chose get shared. It’s also cool see what headlines work well on any given topic. Make sure that your content is going to be relevant, unique and demanded! Cool Feature: “View Sharers” shows you who shared a piece of content on Twitter, which is outreach solid gold bullion. 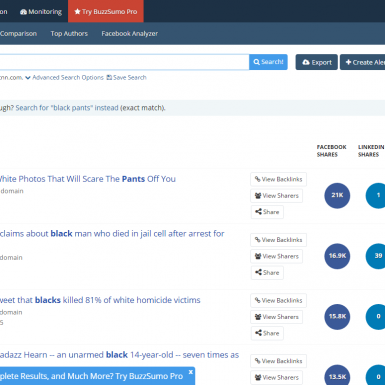 “BuzzSumo Alerts” tells you whenever a keyword or phrase (like a competitor’s brand name) gets mentioned around the web. The “Trendig now” section is also helpful.